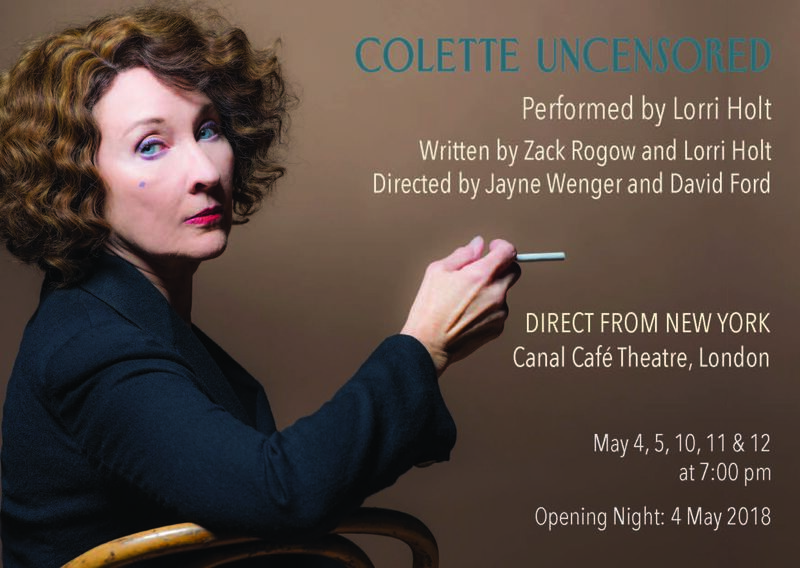 Following its award-winning run in the States, this new play by Yale alum Zack Rogow '74 will run at the Canal Café Theatre in London from 4 to 12 May, starring renowned actress Lorri Holt who created a lead role in the original production of Angels in America. The play was originally read at the Kennedy Centre nominated for Outstanding Solo Production and Solo Performance in San Francisco. We meet the passionate French novelist in her quest as a writer, an activist, and lover. Smart, funny, & delightful, direct from sold-out command performances in San Francisco! Best known for her novella “Gigi,” Colette (Sidonie‐Gabrielle Colette) is one of France’s most famous writers. "Gigi" later became a musical that won the Academy Award for Best Picture. Before Colette’s exquisite writing was accepted as classic, the author was shunned by polite society for her scandalous life, her many affairs with women and men, appearing onstage scantily clad in vaudeville, and her refusal to compromise her pursuit of personal freedom. Colette produced more than 50 works of fiction, memoirs, and plays. Her life resonates with audiences for breaking new ground on women's empowerment, her respect for nature, and her forays into sexual liberation. The moralistic reactions against her rebellion continue to reverberate in our world today.